“Infrastructure is not going to be a problem for organisations working with analytics or big data,” Sandeep Chanda, associate vice president, Technology at Neudesic said last week. 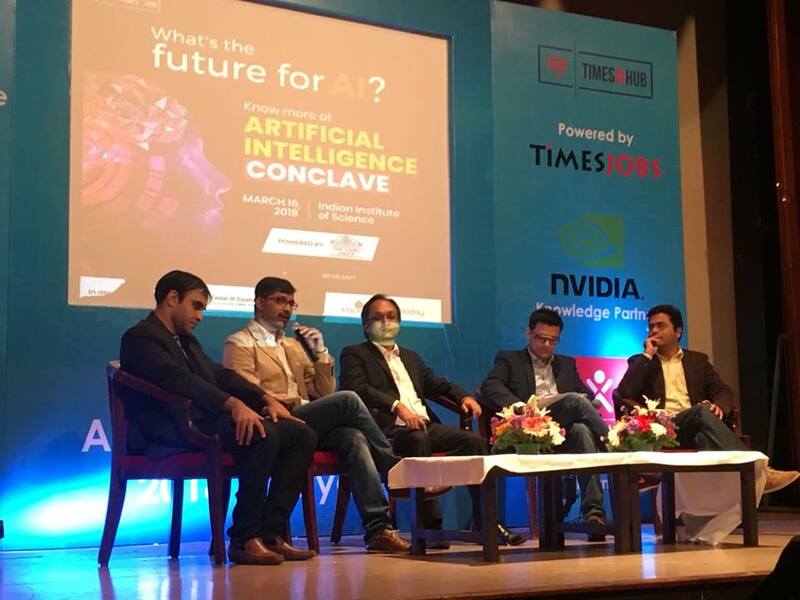 Chanda was speaking at a panel discussion titled ‘Artificial Intelligence 2018 and beyond’ at the third edition of Artificial Intelligence Conclave organised by Times AI Hub in association with ASSOCHAM Karnataka Council, NASSCOM Centre of Excellence IoT, and powered by NVIDIA. The event was held last week at IISc Bengaluru. The other panelists for the discussion were Dhaval Doshi, founder at Smarthome NX, Dr Praphul Chandra, founder at Koinearth, Amit Singh, director of IoT at Cognizant Technology Solutions and Avi Patchava, vice president, Data Strategy at Inmobi. The Bengaluru chapter of the event intended to bring together the sharpest minds and noted names in the industry on a common platform to share knowledge and to discuss the practical implications of AI and machine learning for enterprise organisations. The panel discussion also brought out an important issue faced by analytics organisations (especially SMEs) about sharing data. Doshi, the panel moderator posed an interesting question to his panelists: Can the AI and big data situation be an example of David vs Goliath? Is there a way the small players in the business compete with the “Googles and Facebooks of the world”? Among the other questions posed during the interaction revolved around the key reasons why AI, IoT and ML are integral to every industry and business. The Panelists were asked to each present a case study based on their industry verticals. While most of the panelists agreed that cloud infrastructure, AI and ML would rule future technologies, almost all of them were concerned about the lack of talent pool in the country. Talent, insights and appropriate tools — that was the way forward, they said. Ramit Sharma, Inspector General Police Allahabad Range, was one of the keynote speakers at the event and discussed about how the Indian Police is using AI for purposes such as sentiment analysis and resource allocation.